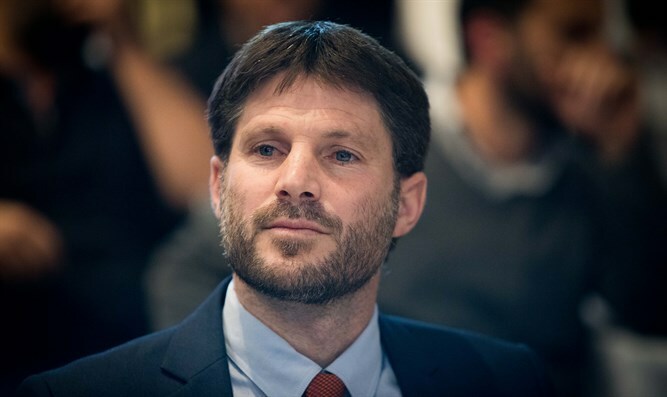 National Union Chairman MK Bezalel Smotrich praised the election of former IDF Chief Rabbi Rafi Peretz as the new leader of the Jewish Home party. "Greetings to my friend and colleague Rabbi Rafi Peretz for his election as Chairman of the Jewish Home. We have great challenges and I am confident that in working together and with mutual appreciation. We will work to rebuild religious Zionism, and make it even greater," Smotrich said. "We will still face many challenges for this great public, and in the coming days we will embark on a joint path of writing the next chapter in the activity and the broad influence of religious Zionism on the Jewish people. "Rabbi Rafi, I am happy to join you and look forward to working together. I urge you to sit down with me tomorrow and agree on the principles of our joint running and the rest of the forces on the right. Today more than ever - there is someone to rely on," added MK Smotrich. Prime Minister Binyamin Netanyahu also congratulated Rabbi Rafi Peretz on his election as chairman of the Jewish Home and called on the parties to unite. "The prime minister calls on the Jewish Home to work to unite with the National Union and 'Otzma LiYisrael in order to prevent the right-wing bloc.from losing votes."